Groove X's diminutive Lovot robot pal is the cutest companion robot you may ever see. 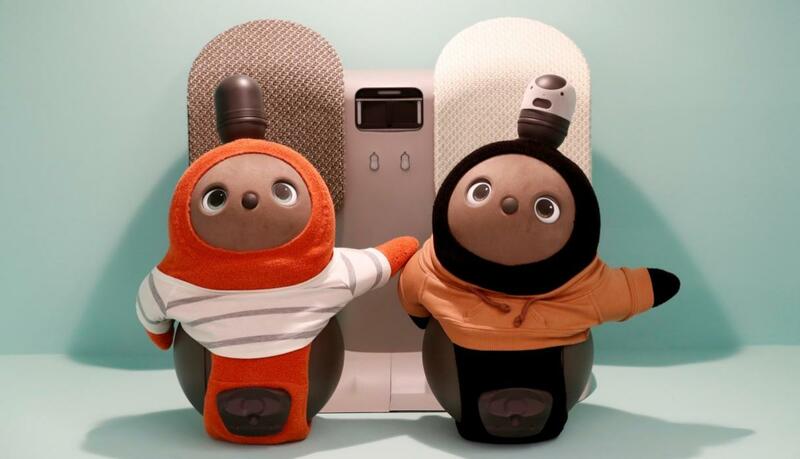 Japanese robotics startup company Groove X announced a very special little guy on Tuesday: the companion robot Lovot. Lovot is an adorable little buddy developed for three years based on the concept "A little love can change the world." Lovot is actually meant to love human beings, helping to change common assumptions about robots by giving owners a friend and companion to, well, love on. Lovot's only goal is to make you feel warm and fuzzy inside, just like it looks on the outside. As such, Lovot can ask you for attention, get shy around anyone it doesn't know well, and follow you around much like a pet dog would. It's also 100% capable of breaking my heart by how cute it is. It's interesting because it's not designed at all for completing tasks or getting things done for humans, and isn't actually "useful" in a traditional sense at all. It's more like a fun, real-life virtual pet meant to give and receive love. It's actually incredibly charming. If you've seen Sony's impossibly cute Aibo robot, you'll be familiar with its purpose. It's just a fun little dog to hang out with, just like Lovot is a like a little fuzzy friend. "What Groove X have pursued with technology is not efficiency or usefulness, but rather a robot that makes people truly happy by its innocent character and charming gestures that feels satisfying to cuddle," said Groove X in its official press release. To accomplish all this, Lovot has touch sensors and a camera on its head to help interact with users. It can be used as a soft, cuddly camera, and all its footage can be backed up if you prefer. However, all of its functions can be used without the need for internet connectivity. Any software updates or backups will obviously require one, but you won't need it for simple day-to-day operations. If you're interested in adopting one of these adorable little buddies, they'll be initially available in pairs. You can reserve them now for 598,000 yen (about $5,300) and they'll begin shipping late next year. I am crying too much to see the order screen, so I won't be able to bring them home, but I will certainly be wanting to for the entire year to come.